I'm sure you already know by now that I love nail art. Ever since I gave in to my nail art addiction, I've been trying to scout for tools and accessories. Oh, and I have to mention that I've been hauling on nail polishes! Haha! 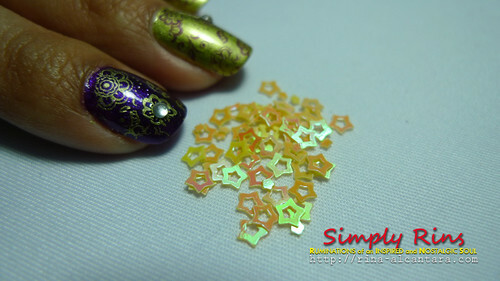 Anyway, I found a few local suppliers of 3D nail art accessories but the price was way too high! Luckily, further persistence landed me a good deal so I took it. Since I wasn't in a hurry to get my items and actually, I was on a budget, I opted for the cheapest shipping rate that promised to have the items delivered in 2-3 weeks. 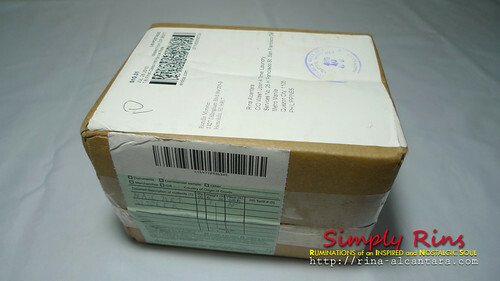 My anticipation ended when I received via post mail a notification that my package arrived last August 10, 2010 and I could already pick it up at the Philippine Postal Office! It's a pity I wasn't able to take a photo of the notice I got from the Postal Office. I guess I was pretty excited to just get the parcel! Anyway, it simply stated that my package arrived and I should get it in 30 days or else it will be disposed accordingly. Since the shipping address was somewhere in Quezon City, I was asked to get the item at the Philippine Postal Corporation in NIA Road, Quezon City. I must say, it was quite big. It was like a bank with more than 30 windows, just like the one's in most banks where the tellers are situated. The notice I received indicated that I should be claiming my parcel at Window 37. And so I did. The kind lady behind Window 37 just asked me for a valid ID, checked the records, and instructed me which window I should go to next. After paying a postal fee of P40, I got my package. The entire procedure only took approximately 5 minutes. Amazing! So what's in the package? 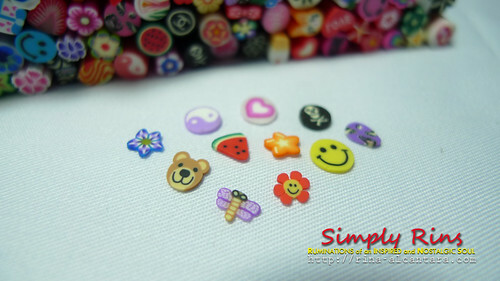 3D nail art accessories! 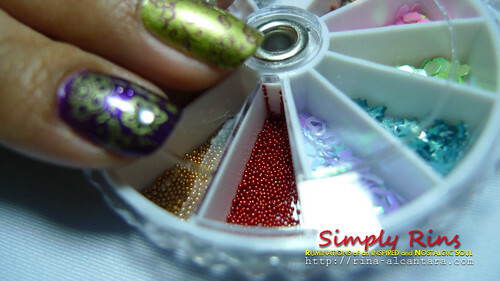 5 Nail Art Manicure Wheels with 3D Designs, Glitters, Rhinestones, and Beads. A total of over 7000pcs! Each wheel is 6cm is diameter and has a dozen unique designs. That's a total of 60 designs! My partner and I found a set being sold at Market! Market! in Taguig City for Php200 per wheel (!) or approximately $4 per wheel. 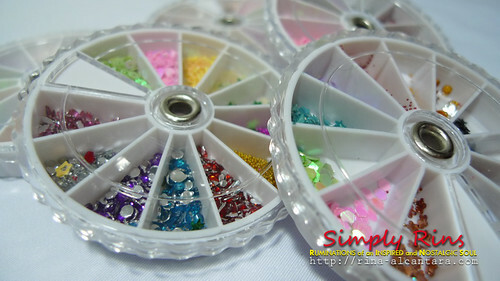 I also found some online sellers via Multiply who sells nail art manicure wheels for the same price. The one I spotted though, in Market! Market! is 8cm in diameter. Regardless, it was still pricey. Translucent flowers that changes color depending on how the light hits it. I call these doughnut stars, simply because it has a hole in the middle. 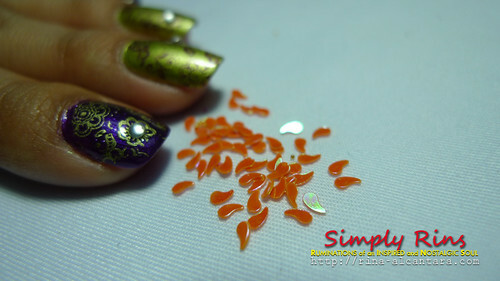 These reminds me of fish eggs! 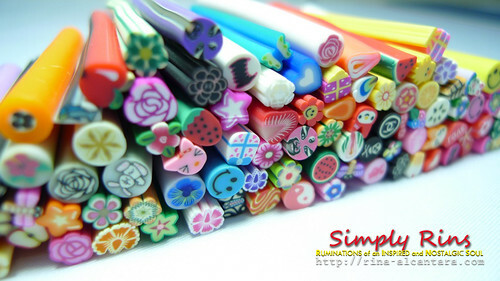 100pcs 3D Fimo Canes Sticks! 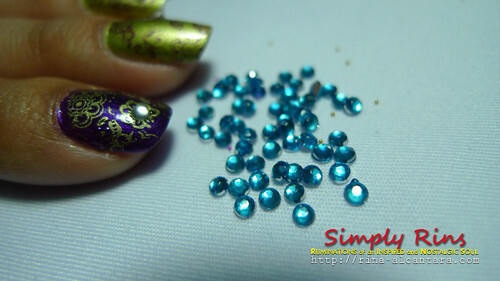 I've been seeing a lot of nail art with fimo canes but I couldn't find a local supplier. I did however, chanced upon a merchant at a recently concluded Bazaar who sold a stick of fimo canes for Php50 per rod! That's approximately $1 for every stick! Holy cow! Good thing I found a supplier who sold them by bulk for a reasonable price. 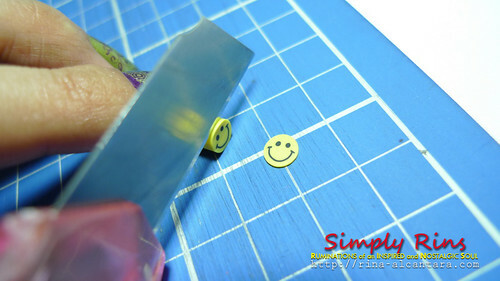 To use, cut into thin slices. Aren't they adorable? Too many nail art design possibilities! Even my sister loves them! I couldn't resist not cutting a few slices to get the feel of it. The thinner the slice, the better. Please be very careful when cutting. I used a large cutter for better handling and a cutting board. 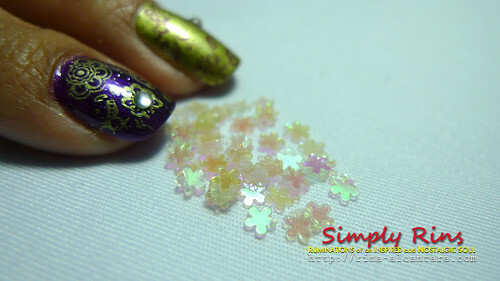 My 1st attempt in cutting a fimo nail art cane stick. 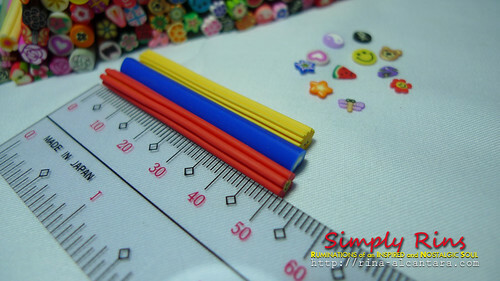 Each 3D fimo nail art cane stick measures approximately 5cm each. Fimo is actually a brand of polymer clay. I can't wait to use all of these 3D nail art accessories! wow, these look so cool, you are gonna have so much fun with all this!!! hi there! i'm looking for these too. can you email me sis where you bought these? i would really appreciate it. my email addy is mykisses14@yahoo.com. thanks so much! I have two online sellers here and I think you have to be a member of this networking site first..
Pls send me where did u buy these. Is d company still in existence? TY.